Last Saturday, Martis Camp hosted its biggest concert in the history of its Summer Concert Series. Wonderbread 5 returned to the stage at the Family Barn for an incredible fifth appearance. Needless to say, Wonderbread 5 is a Camp favorite – bringing the entire crowd to their feet for an all-out dance party every time they perform. Saturday night was no different – a memorable evening that illustrates music’s capability to bring people together. 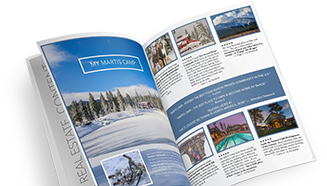 Music has always been a vital part of Martis Camp and the sensory experience of being in our community. Music complements and enhances the stunning mountain views, warm sunshine and prevailing scent of pine trees. If you’ve enjoyed après ski on the terrace at Lookout Lodge, you probably know what we mean. An acoustic guitarist can knit all of the best parts of the ski day into an aural memory to take home with you. At our Summer Wine Dinners, the same is true. Local musicians add an intangible quality to the smells, tastes and visuals presented at the table. Our passion for music is best seen through our Summer Concert Series. The series began long before we ever had a permanent venue to host our featured performers. In 2007, at one of our earliest concerts, the 7th fairway of the Tom Fazio golf course transformed into an intimate concert hall under an elegant event tent. Members and guests mingled over wine and hors d’oeuvres before Lyle Lovett took the stage. Talented, kind, and as thoughtful as his lyrics, he opened the door to the future of music at Martis Camp. Over the past decade, we’ve hosted more than 40 artists and bands from nearly every music genre. Lee Rocker, of the Stray Cats, brought Rockabilly to the Family Barn. Country singers have included Kix Brooks, Crystal Gayle, Carlene Carter, Josh Kelley, Brett Eldridge and Asleep at the Wheel. We’ve hosted several Bay Area jazz and R&B bands including Tower of Power and Lavay Smith and Her Red Hot Skillet Lickers. We’ve heard the Latin-inspired sounds of Jim Messina and Pete Escovedo, the swing songs of Big Bad Voodoo Daddy, and the sentimental ballads of Richard Marx. Last summer, the Beach Boys shared their endless surf-inspired hits with us. And still to come this summer, KC and the Sunshine Band bring us retro disco-funk, former Eagles guitarist Don Felder plays classic rock, and Kellie Pickler performs her Idolized country hits. Check the Camp Calendar for more details. As you explore Martis Camp, you may see colorful reminders of past Summer Concert Series performers. Our concert posters have been signed, framed and hung throughout The Camp. They not only bring back memories of great summer nights, they also remind us that music has been an important instrument in building our community. As you compose your life here, you’ll always be accompanied by the melodies of aspiring and accomplished artists from all over the country. Music sets the tone, provides the beat, and motivates us to get together to sing, dance and celebrate life at Martis Camp.